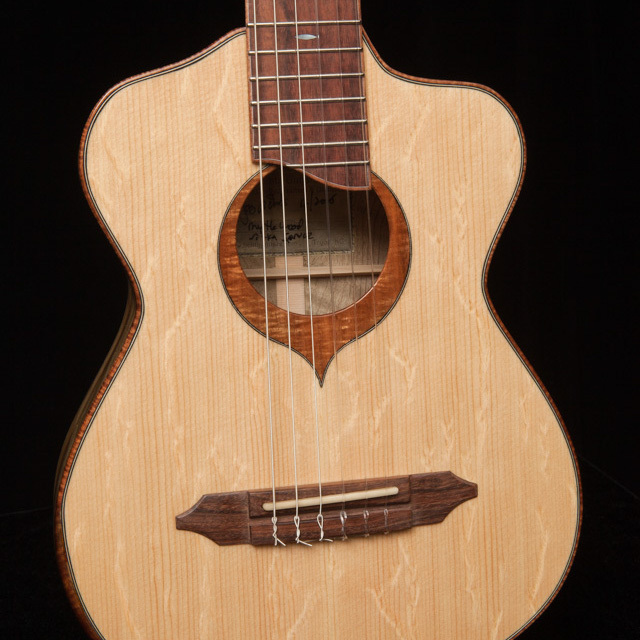 The Baby Bard guitar features our classic Bard body design scaled down to a bit larger than a baritone ukulele. 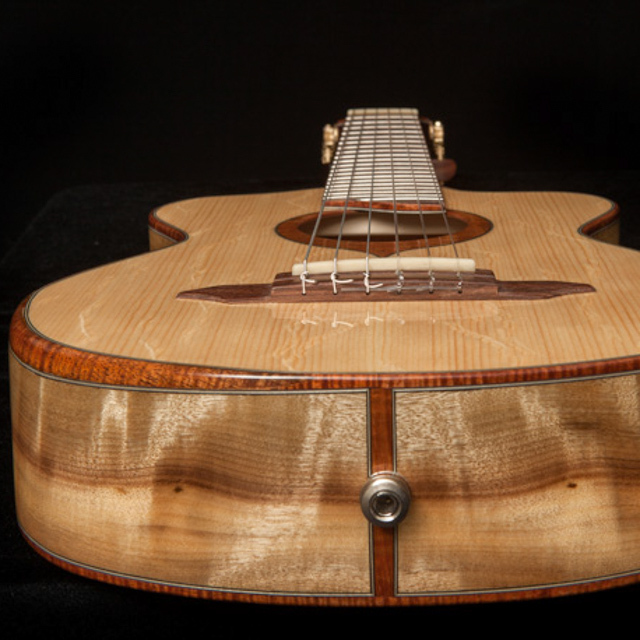 Jay, with lots of input and research from our customers, has come up with the perfect formula for an instrument of ultimate fun and playability while maintaining a tone that could not be achieved by simply connecting a six string neck to a baritone ukulele body. 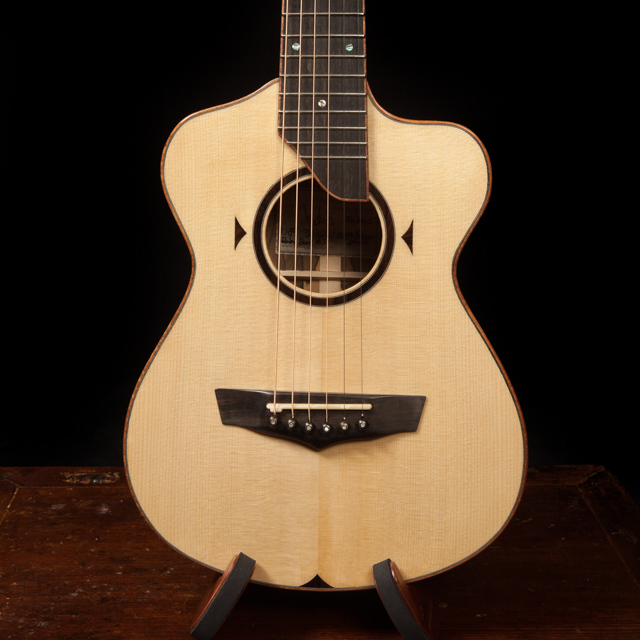 So much fun, in fact, that the prototype, which Jay built the first of this year, is one of Jay’s favorites. 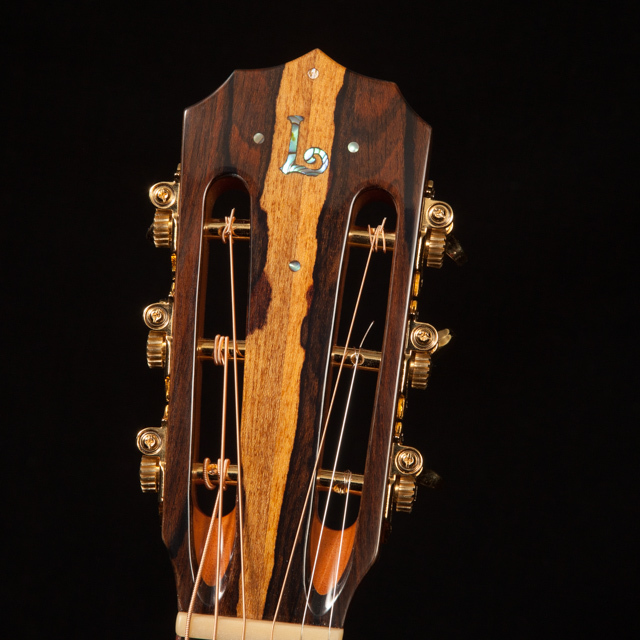 Check out the 4 string Baby Bard model Jay build. 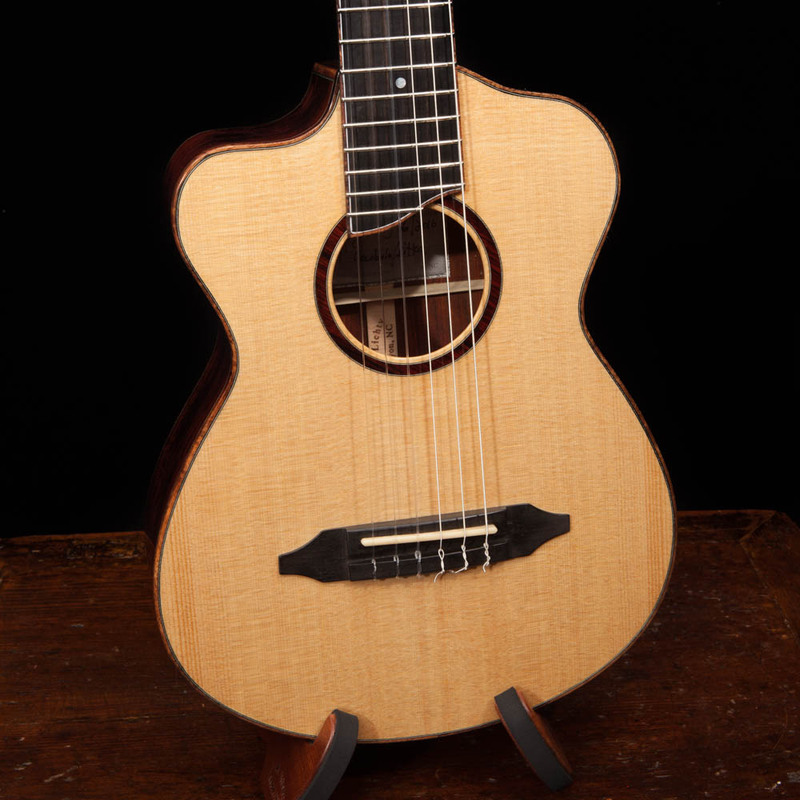 Features: 6 String Baritone ukulele-sized guitar with the unique Bard double cutaway. 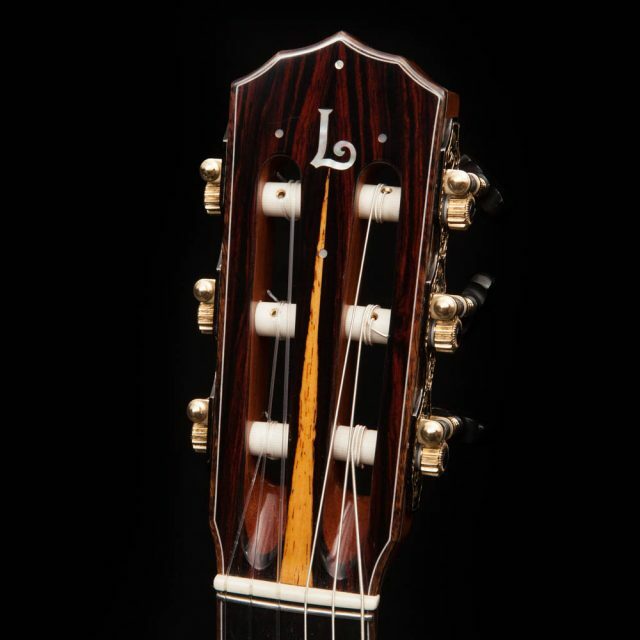 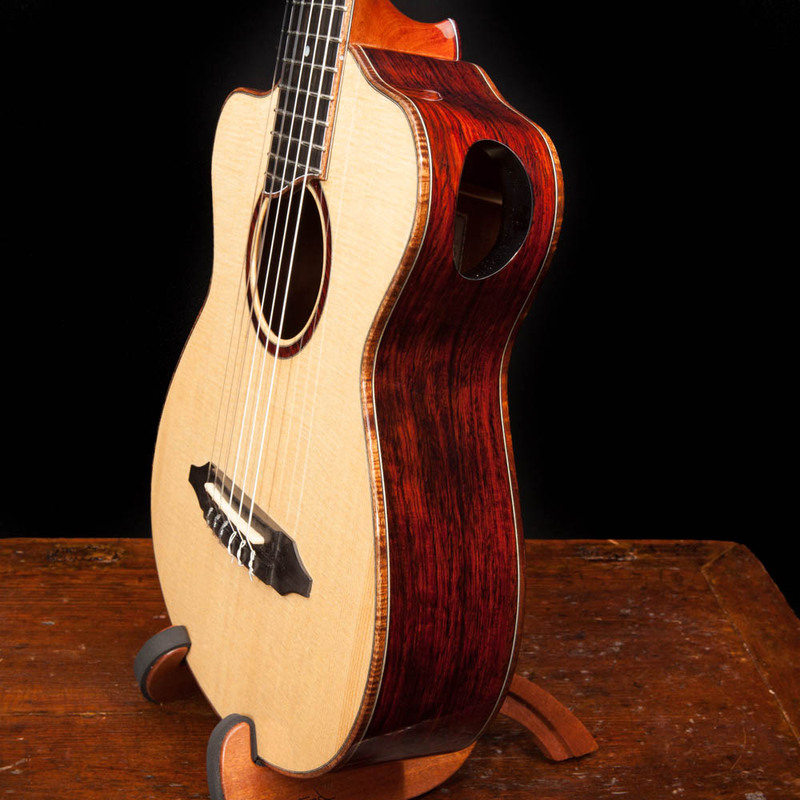 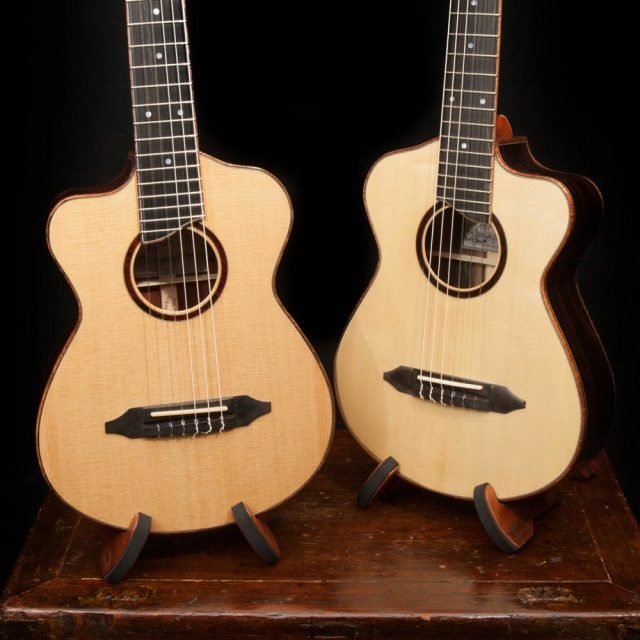 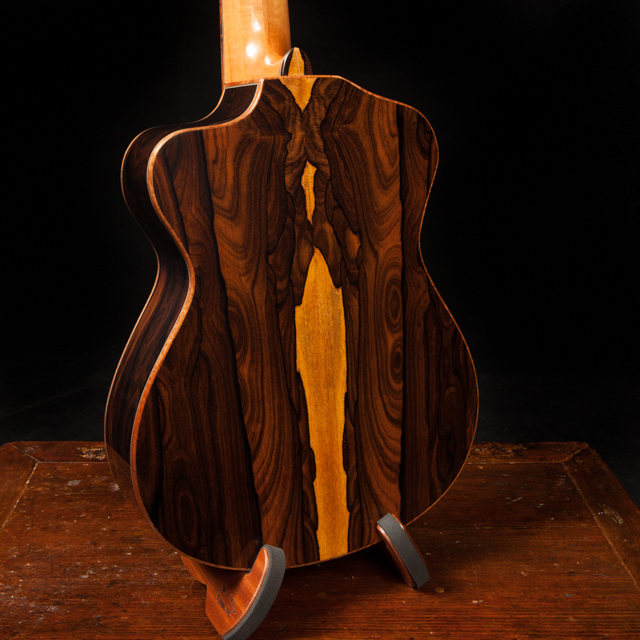 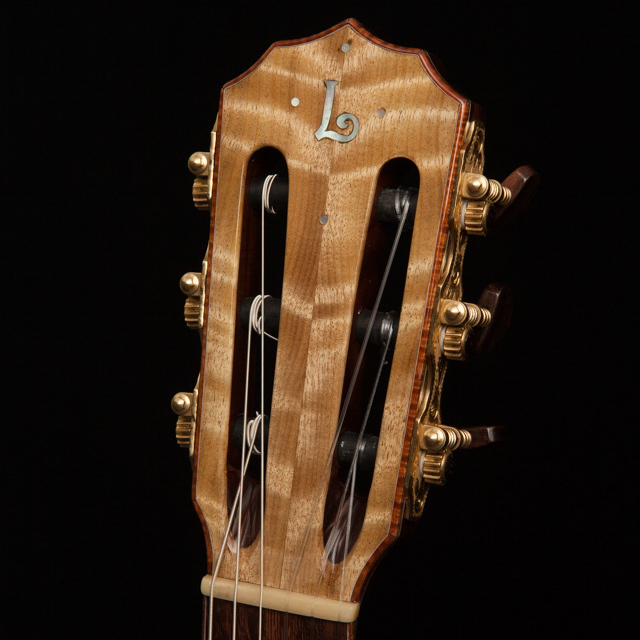 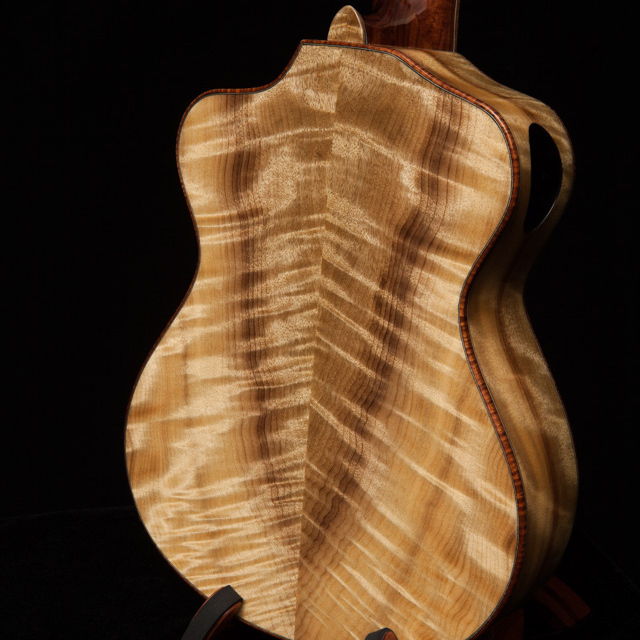 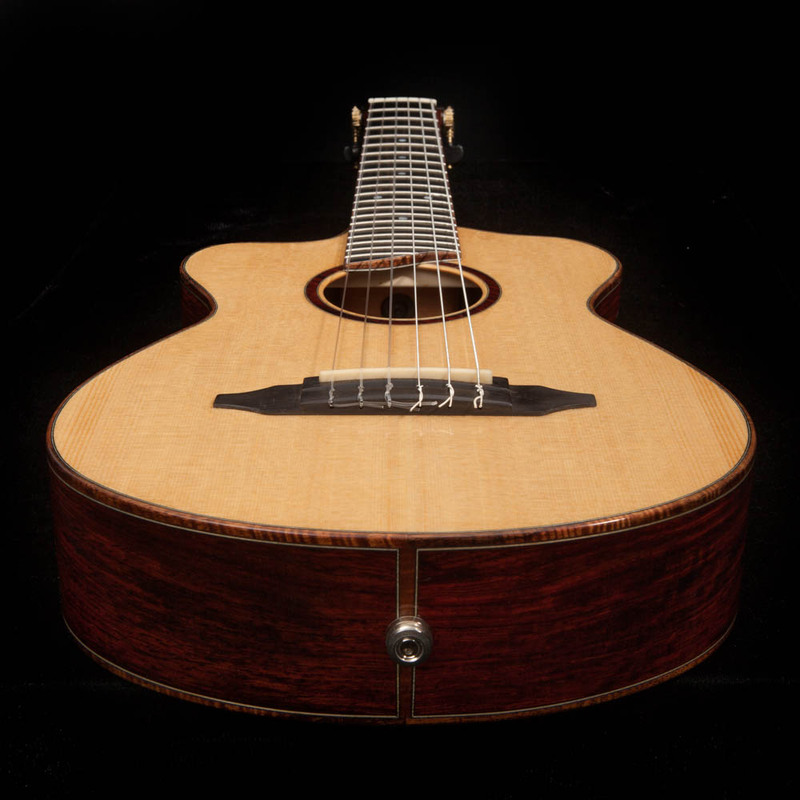 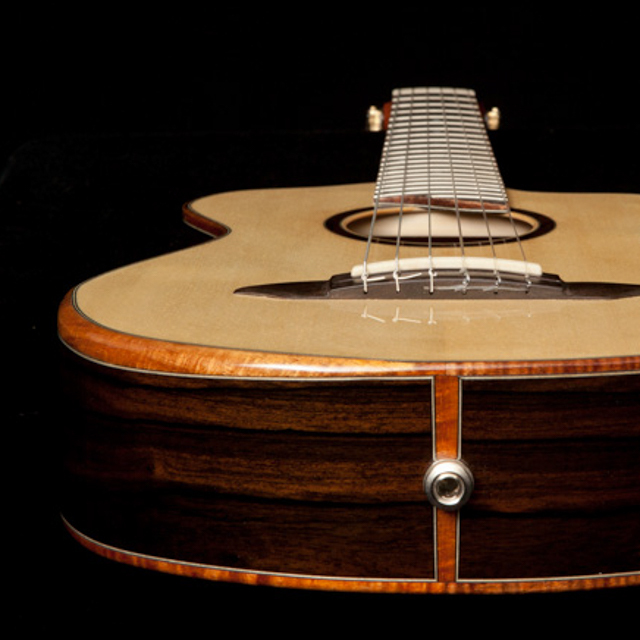 Base Price: $4,450 – included the double cutaway and a custom Cedar Creek case.